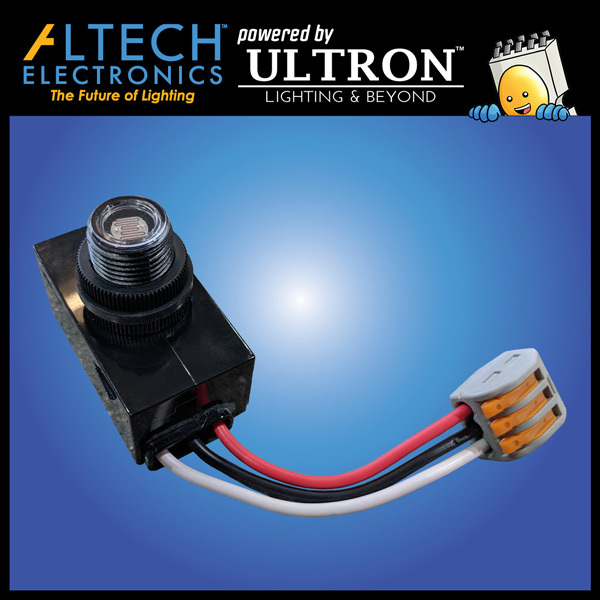 Altech’s fixtures are compatible with state of the art energy-saving motion sensors with step down capability and dusk to dawn photocell. Engineered to significantly improve ROI, these remote control programming units are the future to light performance and sustainability. 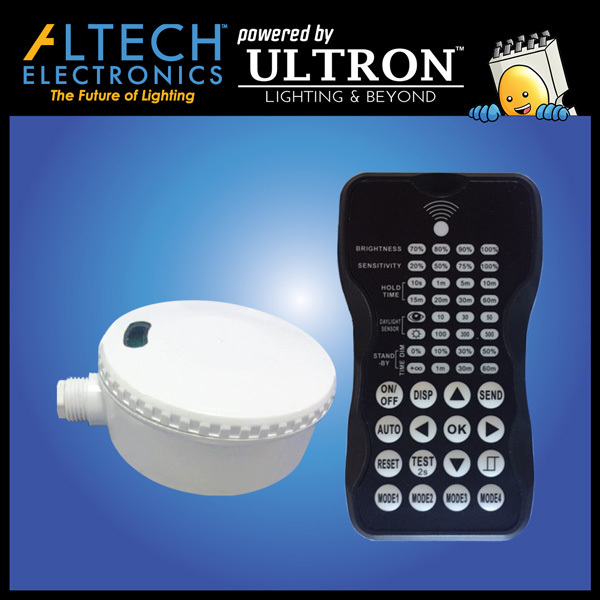 Altech’s motion sensor light fixtures are the primary choice for commercial and industrial applications worldwide. The versatility and usages are endless. The dusk to dawn feature automatically turns a light fixture off when it detects sunlight. It can also be programmed to specifically turn on at a certain light level during the evening and have its own dimming schedule. Smart lighting is becoming increasingly flexible. In its most basic form, the sensors can detect motion and sunlight. This is used in a variety of applications, such as parking lots and warehouses. Safety and security concerns are eliminated because motion sensor light can detect any intruders on your property late at night. There are no dark shadows in your parking lots for trespassers to hide in anymore! Motion activation is also useful on perimeter lights where the light will only turn on if an object, such as a car, enters the premises. This ensures there is minimal light spill onto neighboring streets. For large warehouses with varying spaces of activities, the motion sensor lights’ step down capability is a perfect solution. Sensors can be programmed to gradually increase and decrease the light levels as an object approaches, while maintaining a certain dim level where there is almost no motion throughout the day – more commonly known as the dim and linger mode. As a result, the warehouse is still effectively illuminated and energy consumption is significantly reduced. In its most intelligent and innovative forms, smart lighting is pushing the boundaries of not only lighting, but technology as a whole, that will both significantly improve return on investment and facilitate business operations. 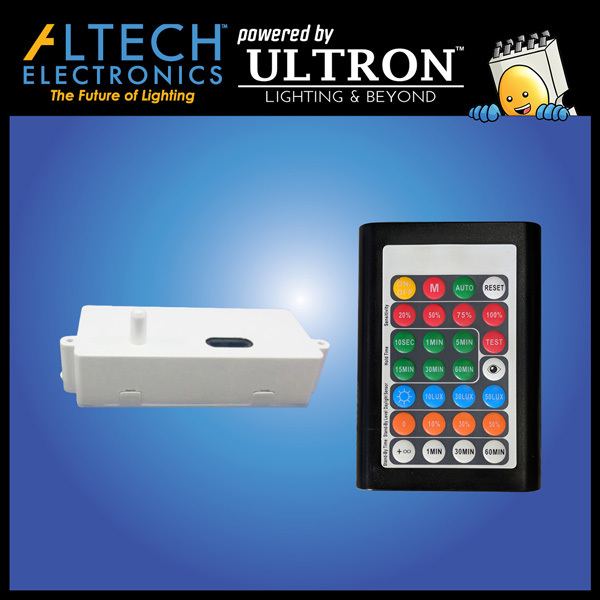 With all the sensor lights interconnected through a wireless network, programming and maintaining the lights have never been easier. 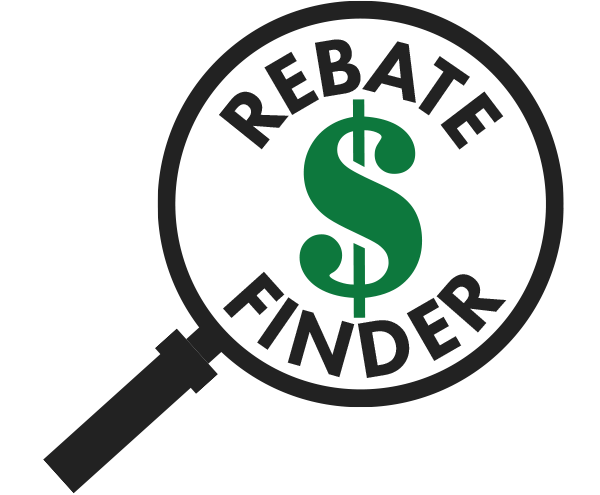 The network conducts data collection and produces reports of various sorts. Some of the capable reports are: asset tracking and irregular mobility of livestocks at a farm, levels of customer activity at a shopping or retail market, movements of workers throughout the day at a business complex, and environmental conditions of the city. The functions are unlimited — from dusk to dawn to infrared capabilities, the future of the world lies with lighting and sensors. Altech’s LED sensor lights can save businesses thousands of dollars on utilities, prolong the lifespan of the light fixture to decades, and maintain the high light performance of our fixtures that are already pushing industry standards.